Nope. No no no. 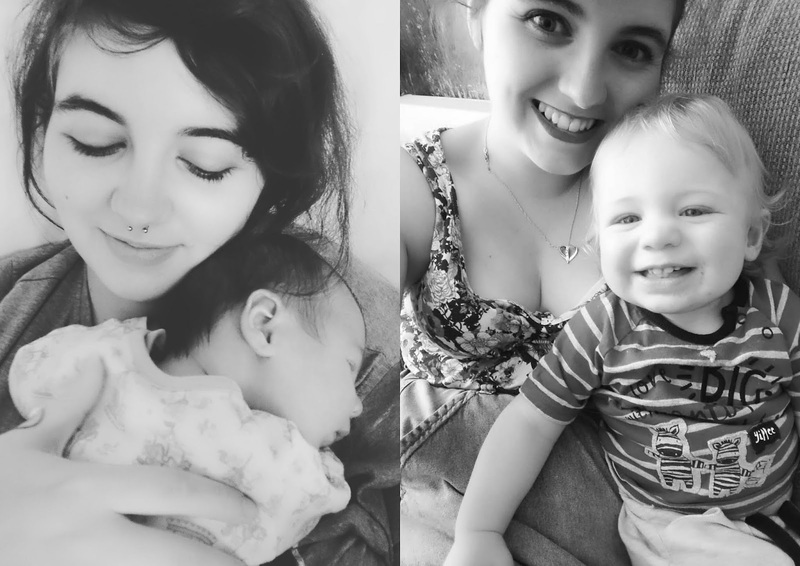 Today marks 1 year of being a Mum and I'm not ready to admit it. But I've got no choice. My beautiful, tiny baby is now a one year old toddler. Well day one of Charlie's ninth month was a bit of a roller-coaster! He was poorly with a nasty cold but still relatively happy, thank god. He even let us sleep in until 10am! I'd bought him some mango a couple of days before and decided to try him on it that day. He wasn't impressed. Toast, however, he loved. Just like his Mama, can't get enough toast! He also started to babble 'dad-dad' and even thought about standing without support. He wasn't quite ready for it yet, but he was getting there. Nine months also brought on a lot more communication! Charlie started to point at what he wanted, shake his head when he didn't want something, and nod his head and say 'yess' when offered what he wanted. It totally caught me by surprise! He also seemed to say 'this' to certain things. Look at those gorgeous chubby cheeks! 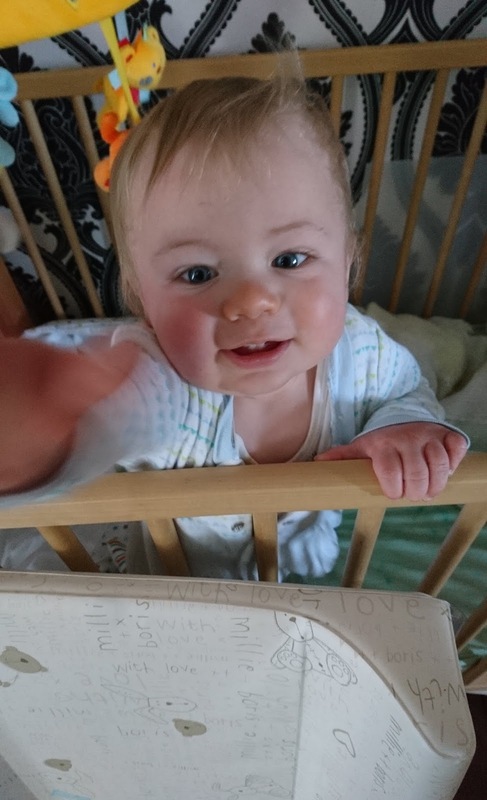 In Charlie's nine month update, I spoke about how he'd started crawling on his hands and knees, but mostly still dragging along. 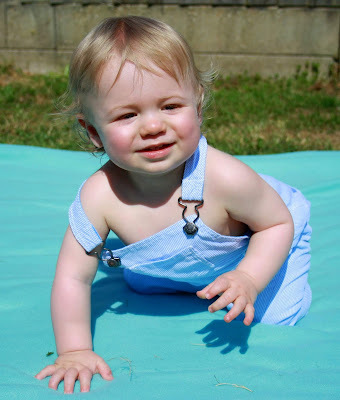 This month it turned into 50/50 crawling/dragging, then 70/30 rather than 90/10 dragging! Oh, he also taught himself to climb the stairs! I mean, I totally encouraged him, but I didn't even have to show him what to do. I have noticed though, that I tend to encourage him to do certain things, and then immediately regret it. He also started eating more solids. Toast, cheerios, chips and custard creams (these ones he literally stole out of my hand/off my plate) and cucumber are his favourites! He also had a try of my sisters savoury muffins - cheese and spinach - and thought they were delicious. Towards the middle of the month Charlie actually started to stand without support! Only for about 10 seconds but it was still so impressive! Although I did notice he only does it when he's distracted by something, which I found hilarious. He also became much more confident with walking with his walker, or pushing his highchair around the room. Charlie hit a perfect milestone the day he turned 10 months. I told him to say 'Daddy' through the monitor at Ash and he immediately went 'DADA!' It was so perfect and Ash very quickly made his way down the stairs to give him a cuddle. He also had his 10 month review with his health visitor and he practically nailed it. Some of the questions/milestones were so specific it was a bit stupid really, but Jo was very impressed with him nonetheless. He also showed off for her, chatting with her, cruising along the sofa, and even showed her how well he can walk holding onto his walker! I was one proud Mama. Still am, really. I'd been really hesitant to let Charlie eat a 'proper' dinner, even though he's had a lot of components of my dinners, I just didn't feel ready to give him a real, non-baby jar dinner. Howver, the health visitor said he's ready for it, and as Vicky made a spag bol for dinner, I let him have some. Luckily she'd made way too much so I ended up freezing some for him, and he yummed it down a few nights in a row. So that was the start of that! I also started Charlie on proper Petits Filous yogurt pots, rather than the over-priced Ella's Kitchen yogurt pouches. He LOVED it. He actually made much less mess than I expected him to and started practicing using his spoon more. Although he kept using it the wrong way round but he wouldn't be told. Meal times were starting to get very messy but much more fun and exciting. HE FINALLY CUT HIS SIXTH TOOTH! He'd cut his fifth around the 8/9 month mark and usually the next one is only a week behind but no, this one took a whole miserable month to come through. I was so relieved but I was also sure another one was trying to make an appearance. Charlie learned more words! He now says 'hello', 'bye' (and waves!) 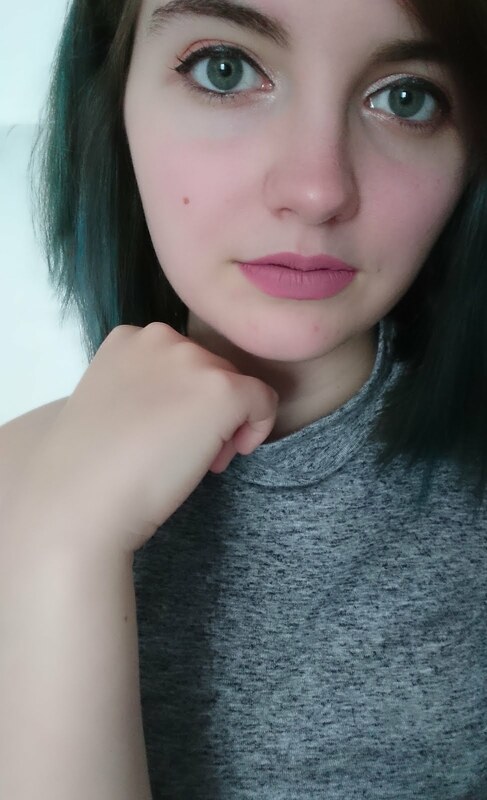 'night-night' (kind of!) and he even tried to say Nat-Nat at one point. Nat-Nat being his auntie Natalie! One day he grabbed my hands and gently said 'row row boat?' because he wanted me to sing Row Your Boat to him! It absolutely melted my heart, it was so sweet! I also finally let Charlie try fish, in the form of scampi and fish fingers. He's not so bothered about fish fingers but he loves scampi! He also really likes my meat-free alternatives like Quorn meatballs, escalopes, chicken pieces...this boy just loves food! Especially peanut butter on wholemeal toast. Oh, and bagels...plus crumpets. I haven't given him a great deal of whole food but so far I can't think of anything other than fruit that he doesn't like! But I still give him fruit pouches, so he gets plenty of it! He started getting really good at standing up on his own at 10 1/2 months! He can't get to standing from sitting yet but if he lets go of me/the furniture he's good to stand for about ten seconds or so! He also worked down to walking just holding onto one of my hands rather than both, but he'd still rather hold onto both hands. A few days in to being 11 months old, Charlie started stomping his foot while standing and it was so cute! He also started asking for more cucumber by saying 'umber!' He's so precious. As for walking, he's still not quite walking on his own yet, but he is happier to walk just holding onto one hand now! Last month he still got a little mad about it, this month he's been loving it. This month also saw Charlie drop a nap. He's now down to one 30-60 minute nap around lunchtime, and bedtime at 7pm. Although I'm a little mad about the nap-drop, I'm loving that my evenings start an hour earlier! Talking of bedtime, the last couple of weeks he's started waving and saying 'night-night!' properly! He even attempted 'see you later' one day. He's also got a mean throw on him now! One of his favourite games is to gather up a bunch of toys, and throw them as hard as he can, and has a wicked laugh to go with it. Yes, a few toys have connected with some of my body parts that I wish they hadn't, but he's so damn happy that it's worth it! He's such a mischievous little monkey, but he's the best little mischief-maker ever. Oh, and that other tooth that I thought was trying to make an appearance last month? Yup! But not only did he cut one tooth this month, he cut two! My little monkey now has eight teeth to bite my kneecaps with. Excellent. If you think I'm joking, I promise you I'm not! Also in the last couple of weeks, Charlie swapped his 'yaasss' for 'yeah!' and started saying 'Mum' properly. He has been saying Mum for months, but only when he's crying. But one day he suddenly just went 'Mum! Mum. Mum.' without crying or moaning, and it was adorable. I feel like I'm finally starting to hear his actual voice! My absolute favourite milestone though, is the one where he takes steps unaided. Last weekend he suddenly started taking 1-2 steps towards his walker totally on his own and I wanted to cry every time! It won't be long before my little man is toddling around on his own - and then I'll really be in trouble!! I actually didn't realise how much he's changed in the last three months. Obviously he's changed like crazy in twelve, but even the changes since he was nine months is insane. I always thought he had tons of hair, until I started comparing photos between now and then! 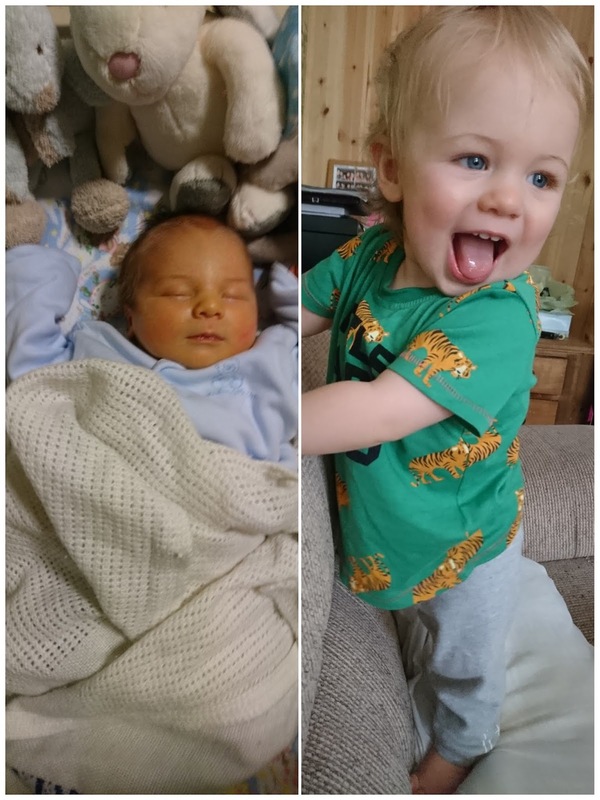 My tiny baby has blossomed into a beautiful toddler, and as sad as him growing up makes me, I can't wait to see what this next year brings us. It's been an emotional year, but probably my favourite one yet. I love you, little man. Such an adorable child and a lovely post. Happy Birthday little C, but belated I know!